Every morning or night your client will sleepily walk into their bathroom to start their routine. If your client has a poorly laid out bathroom, it can ruin their enjoyment of their daily routines. When your client gets a bathroom remodel, it is their opportunity to make their bathroom an oasis and truly unique to their wishes. So, if you’re hired to begin a bathroom remodel, taking your clients to ProSource® can be a valuable resource for them. 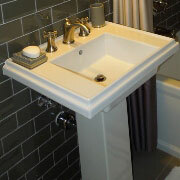 After all, they will be able to view all of our displays and learn about the new trends in bathroom renovation. Having a big bathroom sink is a luxury that not many people have. Also, most homeowners don’t get the opportunity to choose what their bathroom sink will look like, or what material it will be made out of. At ProSource of Lakelands, your clients can choose between an undermount or over counter sink, as well as what material it will be made out of. 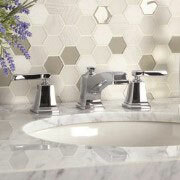 Sink faucets are a great way to upgrade your client’s bathroom to new heights. If you are interested in installing a faucet that is made with unique materials, or even made with intricate designs, ProSource has what you need. If your client would like to boost their shower experience, ProSource has a wide variety of shower heads, tiling, and shower doors to browse. 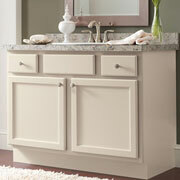 Vanities are a great way for your clients to optimize space in their bathrooms. For example, if your clients want to store their towels in the bathroom, rather than in a linen closet, a vanity would be very beneficial. Bathtubs come with an array of different features. 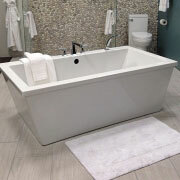 If your clients are looking for a deluxe bathtub or perhaps a simpler one, ProSource has dozens on display. 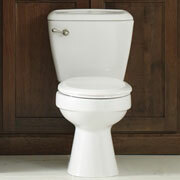 At ProSource of Lakeland, we have many toilets on display, ranging in size, color, and added features. Depending on how much your client wants to upgrade their bathroom, we have plenty of models on-hand. We serve throughout Winter Haven, Haines City, Clermont, and Lakeland, Florida. The ProSource of Lakeland showroom is conveniently located in Lakeland, Florida and serves all of the neighboring cities including Auburndale, Babson Park, Bartow, Davenport, Dundee, Eagle Lake, Fort Meade, Frostproof, Haines City, Kathleen, Lake Alfred, Lake Wales, Lakeland, Mulberry, Polk City and Winter Haven.